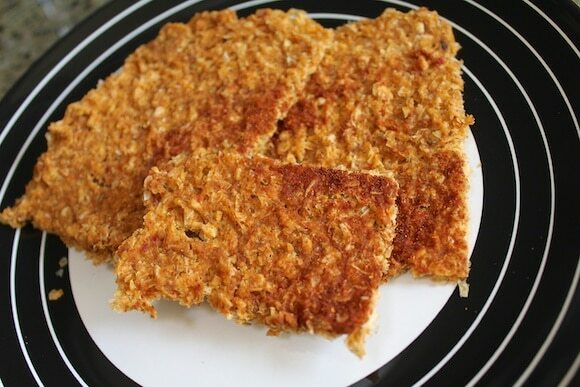 These smoked paprika corn crackers are a healthy snack or party food. 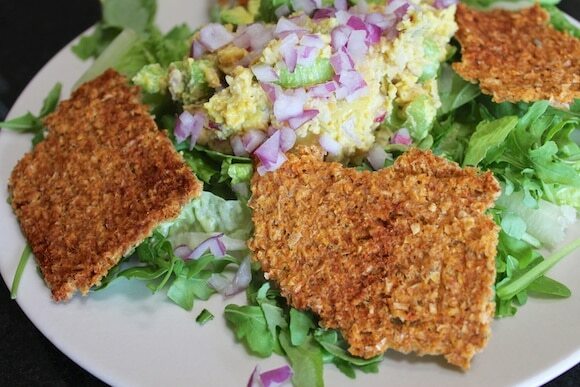 Today, I thought I’d share a new recipe for Smoked Paprika Corn Crackers that can serve as an appetizer or a side dish. 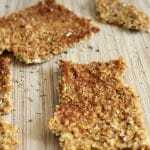 I made this recipe highlighting paprika, but the sweet, corn flavor is still the best part of these healthy, raw crackers. I baked mine in the dehydrator, see the instructions for timing. Ta-da! 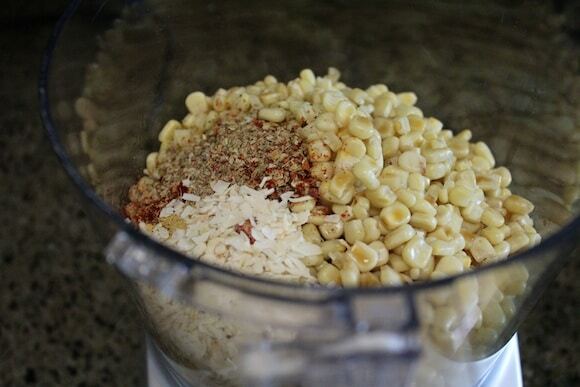 Defrost the corn kernels in the refrigerator overnight. 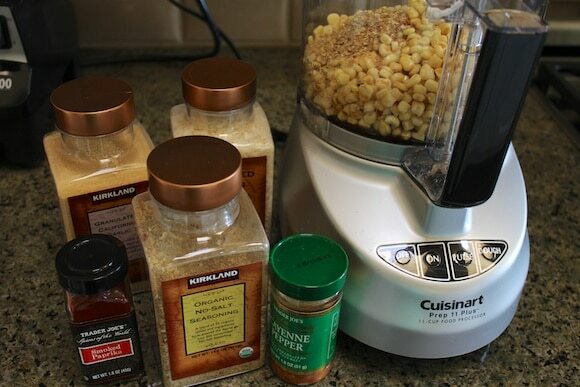 Combine the corn kernels, aminos, paprika, mustard seed, garlic powder, dried onion, no-salt seasoning, and cayenne pepper in the bowl of a food processor. Process on high until mixture comes together, using a spatula to scrape down the sides if necessary. Pour the mixture onto a Teflex-lined dehydrator tray and use an off-set spatula to spread thinly and evenly into a large square. Dehydrate at 125°F or 50° C for four hours. Use a knife to score the batter into cracker shapes and reduce the temperature to 115° F or 45° C and bake for 8 more hours. Flip once and bake for another 6-8 hours or until crisp. Note: I have not tried baking these in an oven. 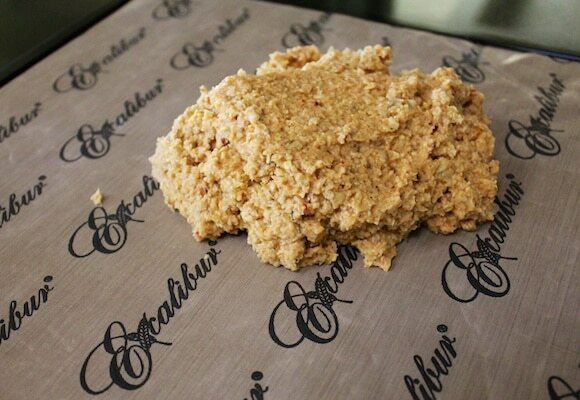 If you want to try that, I would suggest spreading the dough on a parchment-lined baking sheet and baking at 325 degrees for about 30 minutes. Keep an eye on the crackers to make sure they don’t burn. You might also want to flip the crackers once during baking. These crackers are great for a party or potluck as an appetizer, but I like serving them with my Mock Tuna salad for a healthy lunch as well. Enjoy! P.S. I also have a Carrie on Living Amazon affiliate store where I list all of my favorite beauty items, kitchen devices, books, and other cool stuff that supports my lifestyle. Your purchase of any item on Amazon helps support my blog so thank you in advance. I loved smoked paprika, too, Emma! Let me know if you try making these crackers in the oven, I’m very curious (I will try it soon as well and report back the results). Done. Thanks for the heads up, Poppy! These sounds awesome!! I have a dehydrator on my Christmas list. I was planning to use it for kale chips and fruit, but now this is definitely on my list too! 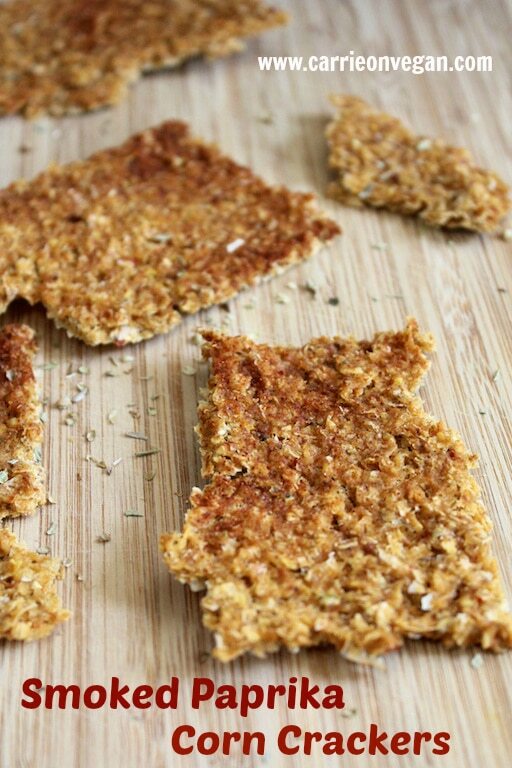 Always on the lookout for new raw cracker ideas – – thanks, Carrie! The paprika on top is beautiful. And thank you for participating in the Potluck! Thanks for inviting me and for being the hostess with the most-est, Annie! I’ve updated my “forward” link, too, thanks for the update. Those look and sound delicious 🙂 our dehydrator is so underused… I’m definitely saving this recipe. Thanks, Shannon! Let me know what you think of the recipe, it’s my new favorite cracker recipe for sure. That looks so yummy Carrie and just what I need! These look delicious! I wish I had a dehydrator but I think I may try baking these in the oven. Let me know if the oven works okay, Joanna. I want to try a batch that way, too, just to make sure I have the temperature and baking time correct on the recipe. 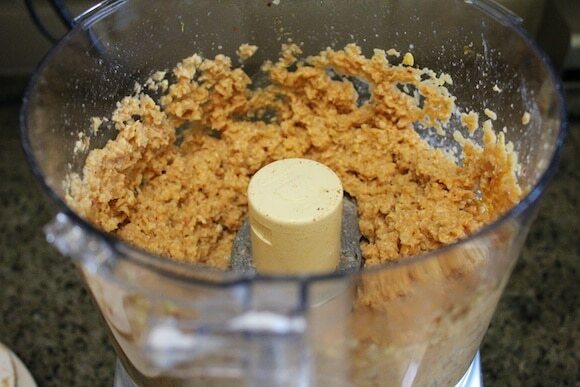 [ Smiles ] Another great vegan recipe! These look absolutely fantastic! I love corn and this is so original! Great recipe, Carrie! Mock tuna salad would be perfect with these. Yum, anything with sweetcorn in it is a winner for me 🙂 they sound delicious. Carrie – I made the Mock Tuna Salad today for lunch for the first time. Absolutely delish! These look fabulous, Carrie, and so easy! 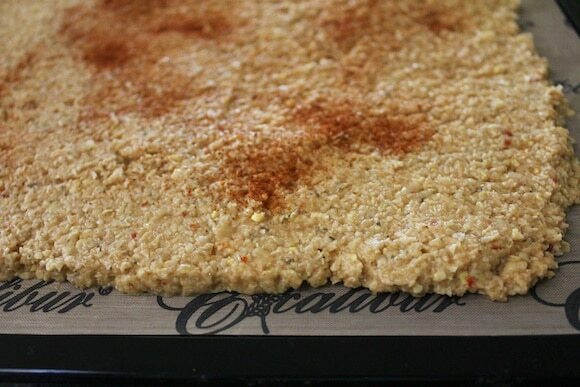 I love corn crackers/chips and smoked paprika… Will be making these very soon! Great, Kelli, let me know what you think of the recipe! How about a category for dehydrated recipes on here and Vegan Delish? Mmm those look scrumptious! Bet they’d taste great with hummus too. Oh. My. Goodness. These have just made my day. I can only imagine how excited I’ll be when I make them! OOOh!!! Something other than kale chips for my dehydrator! These look absolutely lovely. I so need to get a dehydrator – do you have any suggestions for what brand and size? These crackers look amazing – I guess I will have to try them in the oven. 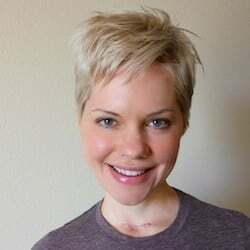 Hi Tami! I use the Excalibur 5-tray version. I’m pretty happy with it, the only problem is how big it is and loud when it is running. I would make sure you really, REALLY want one before investing the $$$. Thank you for the information Carrie. I think I might buy a cheaper, smaller one and see how much I actually use it. I can always upgrade later and give the smaller one to my daughter! That sounds like a good plan, Tami! I found it took me awhile to get in the groove with the dehydrator, but now I use it at least 2x a week. This looks crazy delicious Carrie! My dehydrator just bit it (I’m so upset, I only had it for just over a year) or else I would totally be making these asap! Oh nooooo, Gabby!!! Does it have a warranty? I will take anything with smoked paprika on it! These make me wish I had a dehydrator. I could totally see me snacking on these, I love a good crunchy snack. I really like the extra sprinkle of paprika before dehydrating – they look a little more “crisp” after they are done cooking that way. Yum! These are so inspiring. I don’t like eating baked flour so this looks like a great alternative! Thank you! I really like the flavor combination in these crackers! I bet they’d be delicious with some hummus. Thanks Carrie and happy VVP! These look fabulous and I’m so excited that they’re dehydrated! These look so delicious! Awesome recipe Carrie! This is hilarious! I am going to post almost the same thing on Monday…even links to Janet as my inspiration! I put some sunflower seeds in mine. So delicious! I have a bag of corn thawing and will try yours tomorrow! I love this easy-to-make recipe!